A lot of people may not know this but Eric Lowry of Freshman Clothing aka El Cappy is a custom sneaker designer. He is one of the best in the game and his name is starting to reign all across the U.S.. Check out this latest custom that Eric lowry has done. He re-did a pair of Air Trainers. 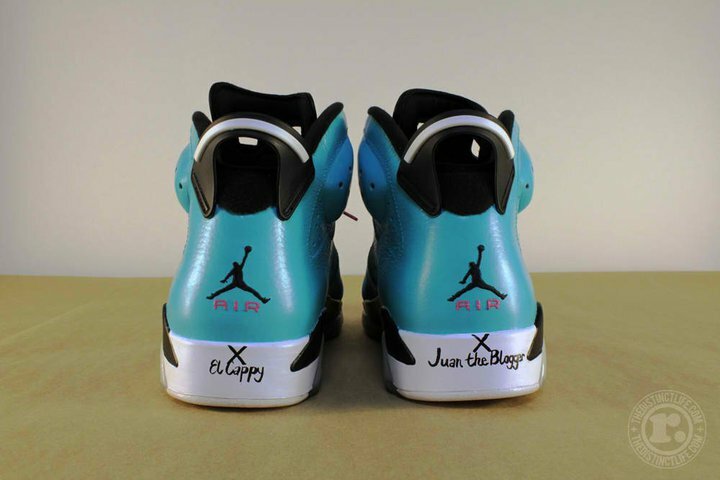 If you wish to get a pair of sneakers done by Eric you can email him at elcappycustomz@hotmail.com Check out the pic….